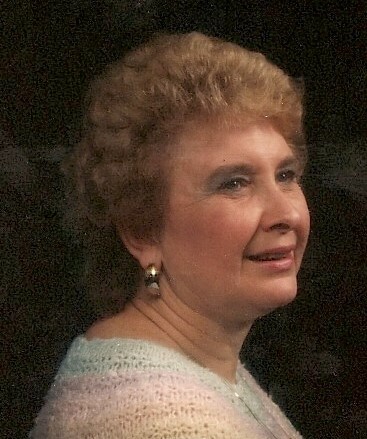 JoAnne Edith (Hickle) passed into the care of her eternal Father the 29th of March, 2019 as a patient at Upper Chesapeake Health Center. She was a deeply loved mother, grandmother and great grandmother as well as a prayer warrior. JoAnne was born on the 7th of July 1930 in Uniontown, Pennsylvania, the second surviving daughter to homemaker and teacher Beulah Jane (Paull) and her husband Joseph C Hickle, a master mechanic and chief electrician employed by H. C. Frick. JoAnne and her older sister, Dolores Ruth (Hickle) Edenfield grew up in Filbert, a coal company owned "patch" and liked to call herself a “coal miner’s daughter“. Her childhood was filled with her friends, family, sewing, social groups and church, her parents being longtime members of Uniontown's Third Presbyterian Church. She attended Redstone High School, immersing herself in student life particularly he school's award winning, marching and stage bands, playing both percussion and piano as well as the debate team. JoAnne followed her older sister to the California StateTeachers College, graduating in 3 years with a degree in elementary education by attending summer sessions. After college JoAnne taught in local schools during which time she became engaged to Samuel Brown King, a local boy she'd known since childhood and the two were wed on the 19th of Jun 1954 at her family church. The couple moved to Vienna, West Virginia where their first and second children were born before returning to Uniontown. Because of the depressed local economy they moved to Harford County Maryland where she re-entered the teaching profession, first teaching at Edgewood Elementary and then at Havre de Grace's Meadowvale Elementary The family settled in Webster Village near Havre de Grace where the third of their children and only daughter was born. After divorce JoAnne pursued her spiritual side, becoming deeply involved in the burgeoning charismatic movement where she met many new people including longtime friends Barbara and Clarence Ely. After retirement in 1989 with 34 years of service Joanne moved to Belair. Her post retirement time was taken up with family, church activities and her love of square dancing. She joined Victorious Faith Fellowship in Forest Hill and was well known throughout the area for her prayerful support of various ministries. She was involved in Harford County’s homeless projects and because of her endeavors was honored to be selected as one of Harford County's "Beautiful People", an annual award created to recognize volunteer community involvement in 2006.During this time her children married, had families of their own and much of her time was taken up supporting her grandchildren's activities. She also enjoyed traveling and socializing with her friend Barbara Ely and special sister-in-laws, Mary Lou (King) Kargle and Elaine King in a group that others called the “Golden Girls”. In addition to her parents she was predeceased by her sisters, Dolores Ruth and Lois Jean and her ex-husband, Samuel King. She is survived by her children: David (Marjory) King, Jeffery King, and Rebecca Rittershofer (Bryan); her grand children, David (Cindy) King and Benjamin King, twins, Jenna (Justin) Wray and Jessica (Justin) Darbrow; Faith Rittershofer, Jennifer Rittershofer and Joseph Webster-Rittershofer. Great grandchildren; Dylan and Isaac King, Jaelyn Wray and Bentley Darbrow, and Jordyn Mahalia. Her special sister-in-law Elaine King, brothers and sisters-in-law; Benjamin (Mary Ann) King, James William (Linda) King, Dorothy Ann Esparza (Carlos), Audrey (Durso) King. Niece and nephews; Karen Jo (Edenfield) Jerald, Jane Anne (Edenfield) Bass, Homer King, Leslie (King) McCoy, Kevin King, Cassie (Hafner) King, Tyler King, Holly (King) Swartz, Tyler King, Melissa (King) Maxwell, William King, Amy Lou (King) Alexander, Carlos (Charlie) Esparza, Beth (Esparza) Hulette. Particular thanks to Pastor Mike Baker of Victorious Faith Fellowship for his spiritual support and also the many calls and visits from the church’s members. A memorial service celebrating her life is scheduled for 3:00 PM, on the 14th of Apr at Victorious Faith Fellowship in Forest Hill.